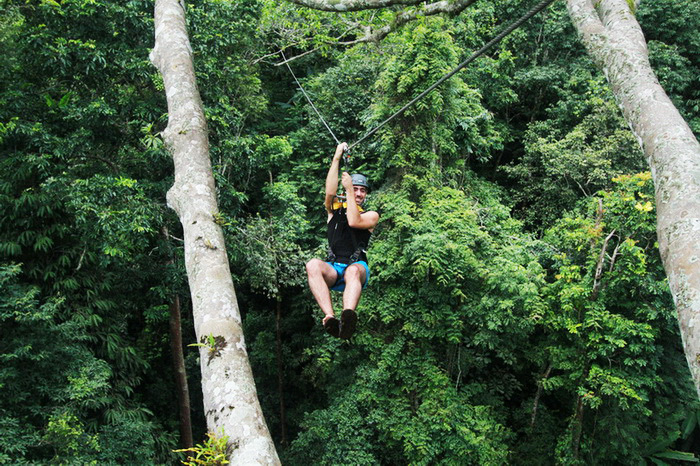 Our goal at Flying Squirrels is to provide you an unparalleled treetop adventure that focuses on one word: FUN! It’s engineered and built by a group of fun-loving experts. 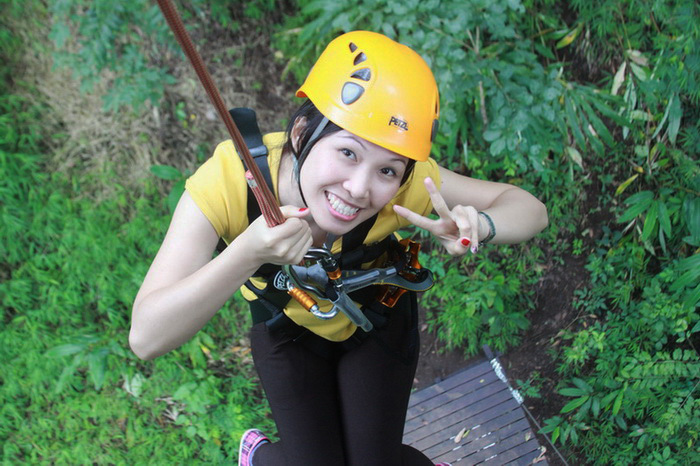 We wish to break free of the monotony of similar zipline tours. We are both unique and engaging while maintaining the highest international safety. This is an adventure like no others for all ages. 7.00 am. - 7.30 am. 8.30 am. - 9.00 am. 10.00 am. - 10.30 am. 11.00 am. - 11.30 am. 1.00 pm. - 1.30 pm. Playing time: Approx. 3 hrs. • 20 kg minimum weight required while a body weight of 110 kg is the maximum. • Not recommended for pregnant women or people with heart, back, hip or knee problems. 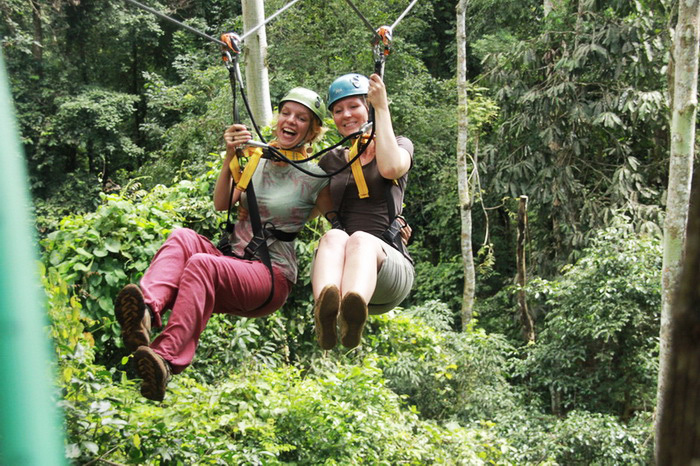 Dragon Flight is located 1,300 m. above sea-level, in pristine rainforest in the beautiful mountains of Doisaket. 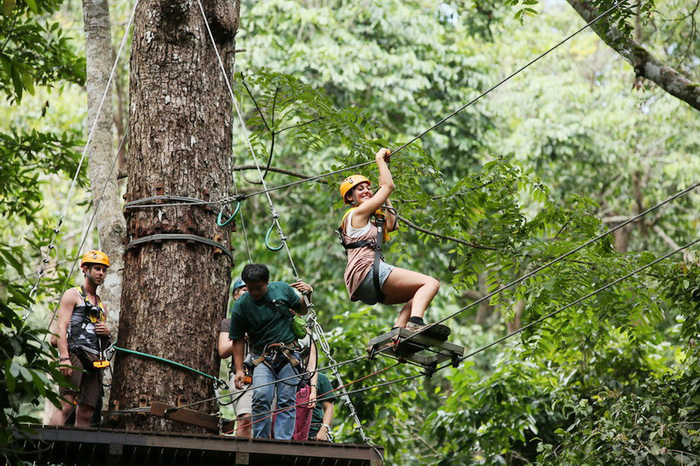 Your adventure begins with a 10 minute nature walk into the heart of the jungle. Past giant palms, hanging vines and huge, twisting tree trunks. 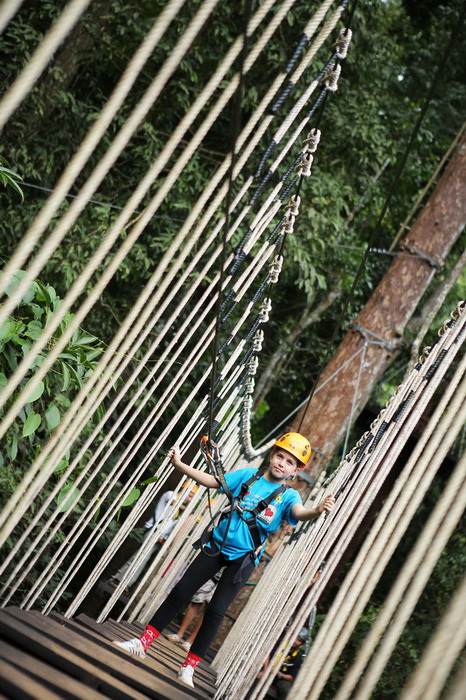 You can zip, fly, and climb with kids, family, or group! 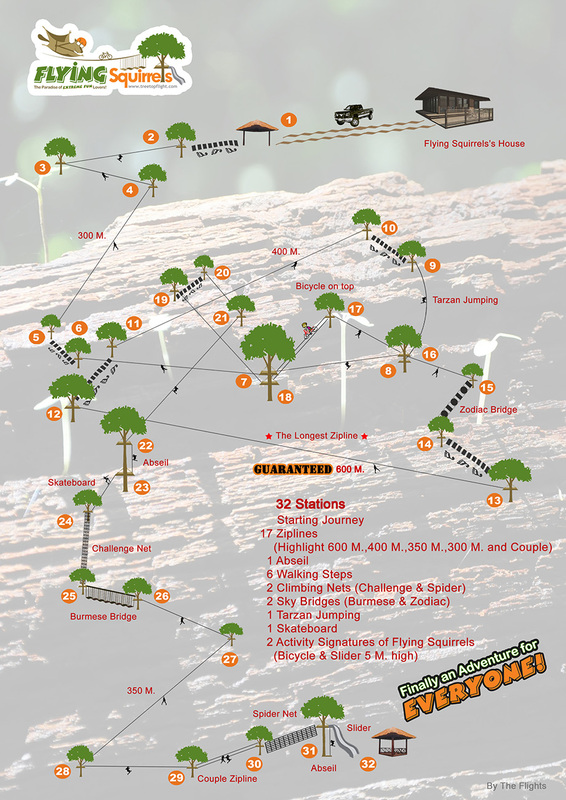 Extreme outdoor fun for everyone! Suitable for all skill levels and ages. 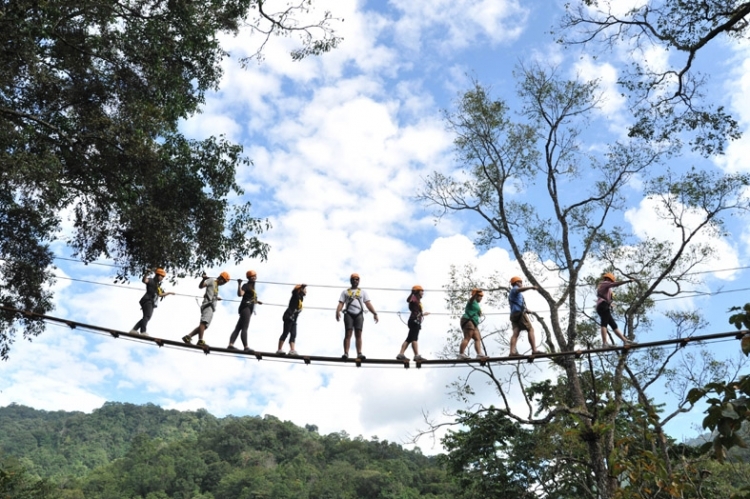 The long zipline in Chiang Mai built above the beautiful Papan Doi saket. 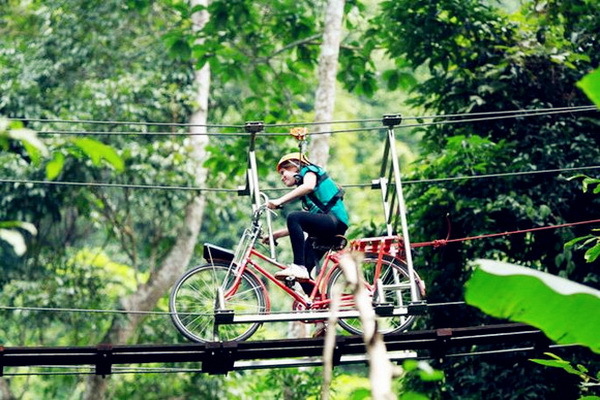 This 900 meters long zipline is counted among one of the long ziplines in Chiang Mai. 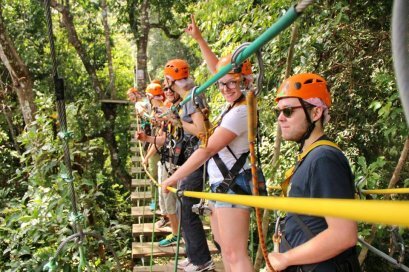 Since ziplining can be done by anyone and is compatible with all ages hence it is said to be an element of an ideal adventure holiday. 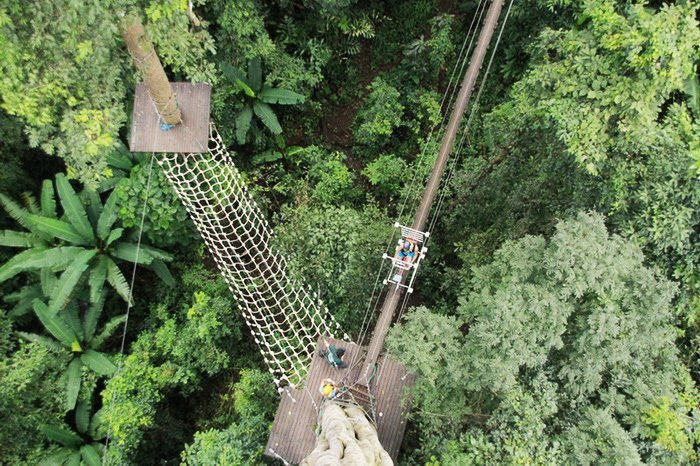 Imagine flying through the tree tops in the biggest rainforest in Chiangmai. 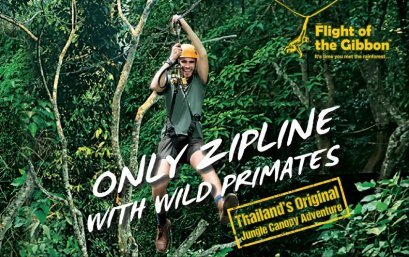 It is one of the most established and trusted zipline operators in Thailand and Asia. 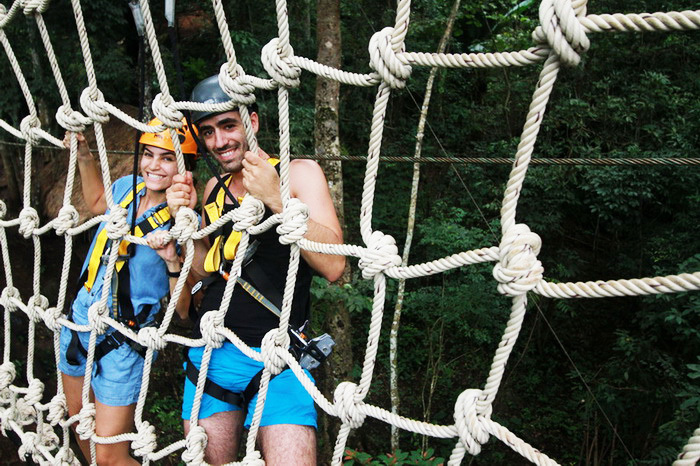 We are proud to provide adventure experiences to people of all ages and all nationalities. 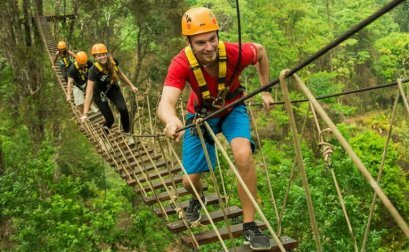 You can fly through the lush and ancient rainforest, located in Mae Kampong, recognized as the most beautiful rainforest in all of Thailand. This is an extreme adventure like no other on the planet! 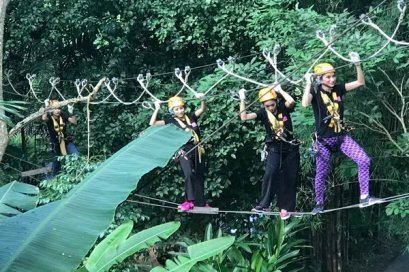 Phoenix Adventure Park is designed high rope course and climbing programs generally focus on personal fears and anxieties. 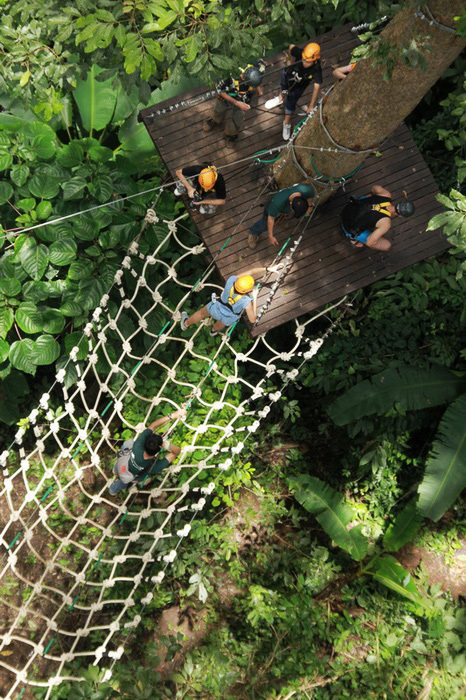 For families, groups and individual in search of something truly different. 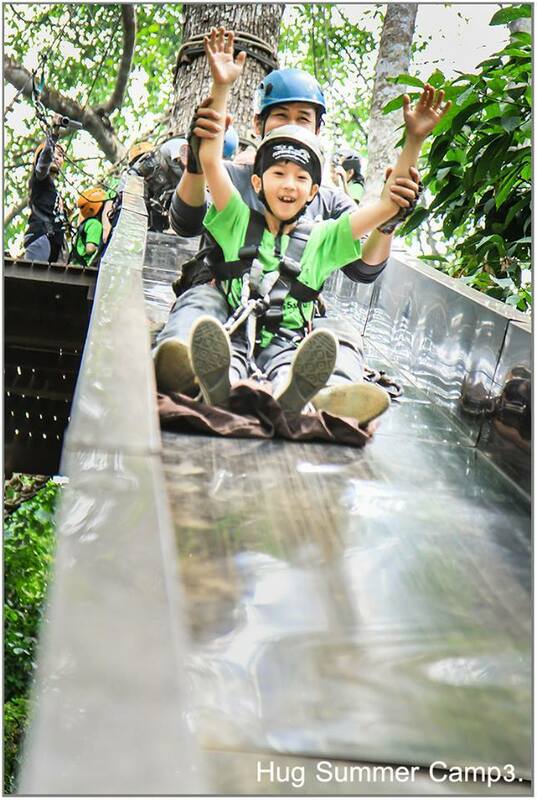 Three programs weaving their way through the different kind of trees and garden canopy, this day out sure will get you and families, friends back to nature with unforgettable day.